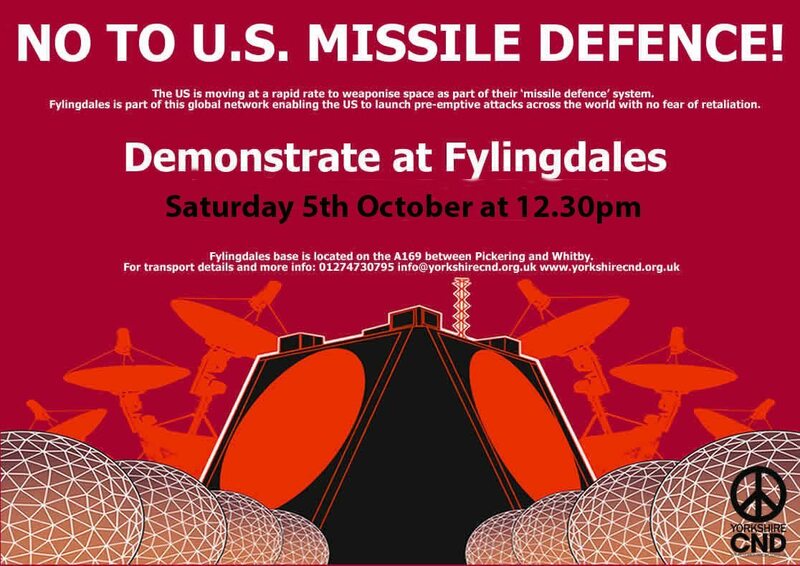 Yorkshire CND are organising a demonstration/ base walk / vigil at RAF Fylingdales on Saturday 5th October. We will meet at 12.30 at the Hole of Horcum car park on the A169, but please contact the office for more information, and for details of transport. The Campaign for the Accountability of American Bases is also organising a demo at Menwith Hill on Tuesday 8th October 6-8pm, and a film showing on 11th October in Harrogate. See the events page for more info.